For those that were hoping for NFC to appear in the iPhone 5, it seems that your dreams have now been crushed. 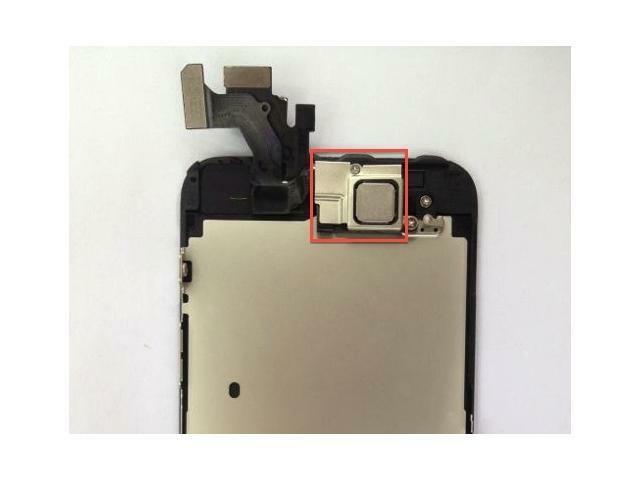 A few new images of the iPhone 5 front panel leaked yesterday and showed a mysterious component that some thought was an NFC (Near Field Communication) emitter. AnandTech has done laid out a very detailed argument as to why NFC would be impractical in the iPhone 5, saying, "Given the primarily metal backside of the new iPhone, it's highly unlikely that NFC is in the cards for this generation. In fact, given the very little space at top and bottom dedicated to those glass RF windows, you can almost entirely rule it out." While this is just one site's analysis of the situation, Jim Dalrymple of The Loop quoted that same passage and added a simple, "Yep." Considering Dalrymple's track record with Apple rumors, that's a pretty sure death to the NFC rumors for the iPhone 5. With the announcement of the iPhone 5 rumored to be coming Sept. 12, we'll know soon enough, but it is looking pretty unlikely for NFC at this point.